Welcome to your platform for reaching higher and going further. 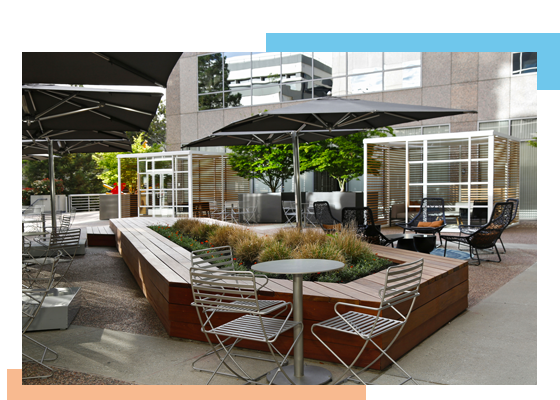 From BART right next door, to newly activated on-site shared spaces, to incredibly creative ownership that always goes the extra mile—California Plaza puts everything you need for an impactful workday at your immediate disposal. Get ready to WORK WITH MOMENTUM at California Plaza.